Below you can view all the homes for sale in the Beverly Woods East subdivision located in Charlotte North Carolina. 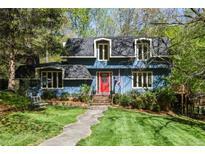 Listings in Beverly Woods East are updated daily from data we receive from the Charlotte multiple listing service. To learn more about any of these homes or to receive custom notifications when a new property is listed for sale in Beverly Woods East, give us a call at 704-350-2820. A short walk to the neighborhood pool. In the heart of SouthPark! MLS#3476248. RE/MAX Executive. This house will not last long. Come see for yourself today! MLS#3494714. I Save Realty. Showings begin Thursday, April 4th at 5:00PM MLS#3488684. Allen Tate SouthPark. Walk to the neighborhood pool. Home warranty. MLS#3489926. Helen Adams Realty. Sought after Southpark area and neighborhood with a community pool. MLS#3437856. Helen Adams Realty. Incredible location in the heart of Southpark! Don't miss this one! MLS#3487478. Cottingham Chalk. In the heart of SouthPark - close to shopping and restaurants. MLS#3481646. RE/MAX Executive. Large hall bathroom upstairs with double vanity and tile shower/tub combo. MLS#3485156. Allen Tate SouthPark. Move in ready & a must see! MLS#3481255. Allen Tate SouthPark. Deck off sunroom plus enclosed lower terrace off of den. Just minutes from Southpark Mall. MLS#3481849. Coldwell Banker Residential Brokerage. Master has access to patio and recreation space where an enclosed saltwater pool is ready for relaxing or entertaining! MLS#3479367. Knock Homes.